Simple Lovely: Blogger's Favorites -- Beth of Hello, Splendor + A Giveaway! Blogger's Favorites -- Beth of Hello, Splendor + A Giveaway! Over the past year, I've had the chance to meet some of these fantastic hometown ladies, including the utterly fantastic Beth of Hello, Splendor, and I have to say, it makes me feel like my town is infinitely cooler because she resides here. Beth is an all-around awesome chic. She's an interior designer, writer, blogger and jewelry designer...oh and she has a sweet baby boy, Maxton, too (so, clearly she's not a slacker). Further proof of her coolness? In addition to sharing her favorites with us this week, she's offered up a little giveaway to one of my readers -- that kickin' necklace above. See, so nice! Just leave a comment on this post by next Thursday, August 5th at midnight, and I'll announce a winner on next week's blogger's favorites post. So without further ado, herewith Beth's favorites. Enjoy and have a splendid weekend. Being in Love: Being in love and having companionship is, quite simply, the best. I am lucky enough to be in love with, not one, but two men. My husband and son are the two people that make the earth spin for me… It’s hard to remember life without them. Beetles: I’m a lover of beetles as an icon in fashion and décor. There is something so ancient and symbolic about the scarab. However, the real thing… I can do without those. Stormy Days: The sound of thunder and rain always puts me at ease. When my husband and I lived in our loft we would just lie in bed and listen to the raindrops on our metal roof. Those are some of my best memories of blissful simplicity. The Jersey Shore: Living in Philadelphia, I grew up going to Ocean City every weekend in the summers. Now it’s a place that I get to share with my own family. We recently started trekking up to the shore from Texas every year as our family trip and it’s truly my new happy place. Sparkling Beverages: I love anything sparkling… champagne, sparking sangria, prosecco… I feel so fancy drinking it! And, I’m going to go ahead and slide beer into this category, as well. Not quite as fancy, but I do enjoy a good beer! Personalized Jewelry: I’m not a diamond kind of girl, but I love to have more casual personalized jewelry made. I recently ordered a necklace with my twitter tag @hellosplendor. I also commissioned a ring, by the amazing f. is for frank, with my son’s name Maxton. An Evening Bath: As a new mom, I love to escape in the bathtub. An evening bubble bath is the one time that I get complete solitude. For me it’s necessary to get away, gather my thoughts, and gain perspective. Chocolate and Bacon: Is there anything better?? The most delicious bacon and chocolate treat I’ve had so far was actually at my husband’s cousin’s restaurant in LA, called Animal. Their chocolate/bacon creation has even been featured on Food Network’s The Best Thing I Ever Ate. And let me tell you… It was. Re-Design: As a professional interior designer, I find that I get to exercise creativity more in re-designing furniture and spaces then getting to start from scratch. There is always more of a challenge in creating something new from something old. Plus, it’s nice to give mother earth a little break by reuse. thank you for sharing another amazing blogger/person/mom with all of us. I love to meet new fantastic bloggers, I love this! Happy weekend. Thanks for giving me a new blog to follow! And I love that necklace! I love that necklace-and it makes me feel more connected to Texas to get to read blogs like these. I miss my home state! I am with Beth, I love the rain. I love her necklace and I love Texas. I am also with Char, I miss it. Thanks for the Blog, I love it!!! Love these favourites and love the necklace too! Love giveaways and love reading about others' favorites!! Gorgeous necklace! And her baby is absolutely adorable. What a beautiful necklace. I agree - champagne too! being in love, can anything really be any better than that. mmm.... bubbles! Champagne, prosecco, cava, sparking water. Bubbles make everything classy and celebratory. and the giveaway is just icing on the cake! Vosages makes a chocolate bacon bar that is perfection. As is that necklace!! I love rain storms, too. When I was little, my parents used to sit my brother and I in the family room and open the screen door so we could smell the rain. Then we'd all listen to "Riders On the Storm" by The Doors. As a new mom, I totally relate with the #8 :) Such a beautiful necklace! What a wonderful list. Thanks for the giveaway as well!!! chocolate bacon.... that sounds dangerous. I love the tag line for Beth's blog: "splendid. modern. life." And I like it's overall look and feel too. It's spirited, which is a quality I enjoy in people and in writing. Thanks so much for the giveway! great jewerly!! love the beetle! also i viewed the store and love the Fabulous K Necklace! love the simplicity of the necklace. 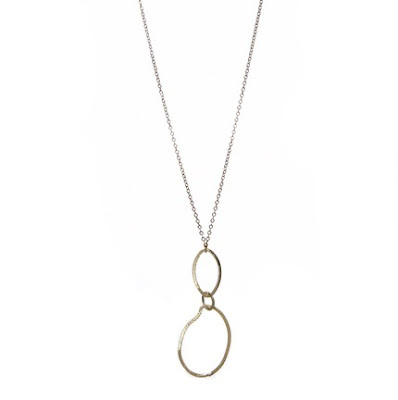 what a gorgeous necklace, please enter me in the drawing, i have all my fingers and toes crossed! Thanks for hosting an amazing giveaway! It's a gorgeous necklace! What a fabulous blog...love it! Thanks for the giveaway and all of your amazing style inspiration!!! I'm in love with this necklace!! If I don't win it I'll probably buy it! what a great list. i love the simple, darling necklace. can't wait to pop over to her blog. 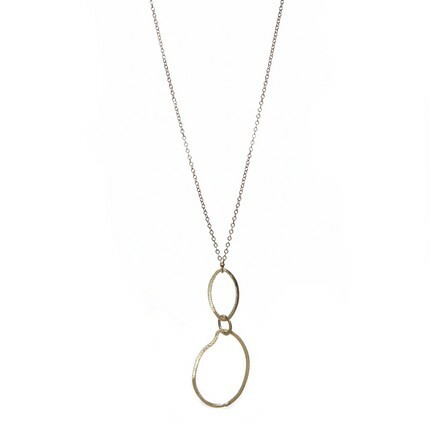 I love this simple necklace! I'd love to wear this. Thank you for hosting a great giveaway! Great list and an adorable baby! I just fell upon your blog from google today, I'm in Philly myself! Blog world is pretty cool. Aw, I love her blog, it's great to see Beth here, too. This is one of my favorite blog series! What an eclectic, yet comforting mix of favorites! Splendid. Speaking of splendid, the necklace certainly is, as well! Thank you for the chance to win this amazing necklace! That is a sweet necklace! Love the giveaway and the sweet name of her son! Glad to find your blog through Hello, Splendor!! What a fab list...so wish I were nearer so we could meet in real life, too! Such a great fav's list! Also love the necklace! That necklace is beautiful! I also love all sparkling beverages, something about the bubbles makes it taste better. I love hearing other bloggers favorites...always inspiring! Great list, great necklace. She's lovely. great blog and sparkling bevvies are one of my faves too! I love Beth's blog...and now she has introduced me to you! Hopefully I win! What could be better than drinking prosecco on a stormy day with the one you love? doing all that while wearing that necklace. love it. That necklace is simply beautiful! I hear you when it comes to long baths. Sometimes it is the only escape when you are a new mom! Great favorites. That necklace is a piece of art! L-O-V-E it! So down to earth! I love her simple ideas . . .and the necklace is gorgeous. I'm with you, a huge fan of anything sparkling! Glad to discover your blog. Love the blog + necklace. Beautiful post. I love her simple pleasures in life. This is one of my favorite blogger features. Great necklace too. I loved reading this list and the necklace is beautiful! So much statement in such a clean, artistic design. I, too, am happy during rain storms. Beth, I love all of your favorites! They are awesome! I want to be your friend! I have been enjoying my sparkling water while reading Joslyn's blog and I just bought on sale from west elm! And who doesn't love love, baths and babies....not to mention bacon and chocolate? I enjoyed reading your favorites! Champagne is the ultimate mood lifter and party starter!